Are you looking for professional roofers in Southampton to carry out any roofing work you require? If you are, look no further than Acorn Building Contracts Ltd, where our team of experts are ready to take on the specific needs and variables of your roofing. To find out more about our services and how we can help you, please call us today on 023 8024 3336 or 023 8178 0546. When it is time to replace or repair your roof, it is important that you only hire the best Southampton roofers. 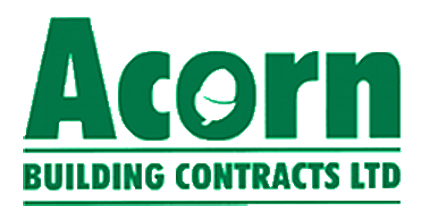 In this case, the best company of roofers is Acorn Building Contracts Ltd, where we provide maintenance and repair with results that are long lasting and successful. While it is not difficult to identify basic roofing concerns, it is always best to consult a professional for a full inspection. The most damage to your roof can be caused by harsh winters or severe weather. An indicator that your roof needs repair is the appearance of dark spots on the ceilings, commonly a result of an old seal or broken tiles. Another indicator is a higher seasonal energy bill. If your roof needs repairs while still under warranty, it is worth hiring roofers in Southampton to carry out the repairs even if it is costly. When repair costs are coming out of your own pocket, it can actually be more cost effective to replace the whole roof. A roof replacement is generally recommended if more than one-third of it is damaged. Other indicators that you need to replace your roof include moderate interior leaking, blistering interior walls, curling or decaying shingles, and a higher energy bill. 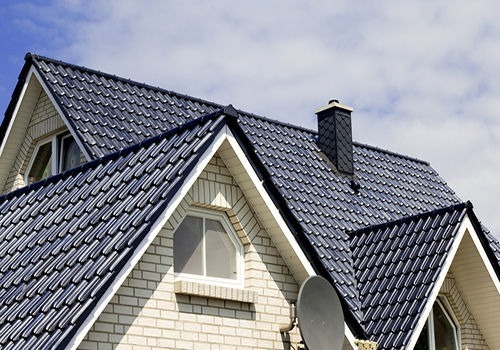 Once you decide to replace your roof, you need roofing companies Southampton can rely on. We will ensure that the materials are appropriate for the weather in your area. Proper roof maintenance will not only keep your home safe, it will also keep it looking good. One method of controlling roofing service costs involves Southampton roofers conducting yearly inspections each spring for damage and signs of vulnerability. Streaks of discolouration will alert you to the evidence of fungus, mould, or algae problems. Externally, make a check around your property to ensure any tree branches or foliage are a clear distance from your roof. Why Choose Us Over Other Roofing Companies Southampton Offers? When you choose Acorn Building Contracts Ltd as your roofers in Southampton, you can benefit from our years of experience in the industry. We take great pride in the quality of our work and provide competitive rates, and as such offer one of the best building services in the area. All work we undertake is carried out by skilled and experienced tradesmen, who are backed by full insurance and high standards of health and safety. As a company, we are proud members on Checkatrade, The National Federation of Builders, and The Construction Confederation. This means that, when you hire us as your roofers in Southampton, you can have complete peace of mind about our roofing services. Additionally, we have recently been authorised as an approved trader within the Southampton Trading Standards County Council’s Buy with Confidence scheme. Most of our new work comes via recommendations from our existing and past clients. This means that, when they have hired us as Southampton roofers, they were so satisfied with our work that they recommended us to friends and family. We believe this showcases the high quality of our workmanship and customer service. If you would like to see some of our work as roofers in Southampton for yourself, please browse through our gallery page. Once you do, we are confident you will be convinced that we are the only company you need to call for all your roofing requirements. To find out more about our services as roofers in Southampton, please contact us today on 023 8024 3336 or 023 8178 0546. Alternatively, you can fill out the form on our website or email us at acornbuilding@gmail.com. A member of the Acorn Building Contracts Ltd team will respond quickly and efficiently to your enquiry.